In both commercial and industrial areas, there is a great need for routine, high-quality electrical system maintenance, what with all the electronic machinery being used in these locations. It is paramount that the electrical systems in these premises are as foolproof as possible. There is just no room for a major electrical glitch as it might cause physical and economical disasters not just to the whole establishment but also to nearby structures that may be residential. Regular checkups, repairs, replacements, and updates of electrical systems must be implemented in commercial and industrial areas. Because there is so much at stake once an electrical-related problem or accident transpires especially in an industrial setting, this should be one of the topmost concerns of the people who are in charge in the company to take care of this aspect. 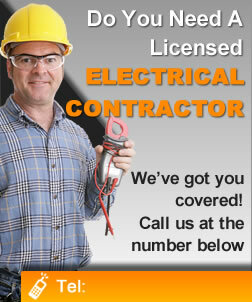 That being said, it is important to hire only the licensed and high-caliber Electricians in Columbus, Ohio to do maintenance works on commercial and industrial electronic equipment. Making sure your machinery are in their topmost condition is tantamount to taking good care of a huge part of your investment so you can maximize your revenues. Ensuring that your electrical lines and all devices receiving electrical power supply are well-maintained and highly functional is also making certain that your employees are working in a safe and secure environment, and that the hazards and risks your staff may be exposed to in both commercial and industrial fields are significantly lessened. For a more worry-free working environment, contact us now and let’s talk about the possible electrical maintenance issues in your establishment. We can offer you a variety of industrial electric services that can best suit both your commercial and industrial needs.